If you are already sick of the frigid temperatures and gray landscapes of winter, it might be time to consider an escape for a relaxing getaway to a warmer environment. 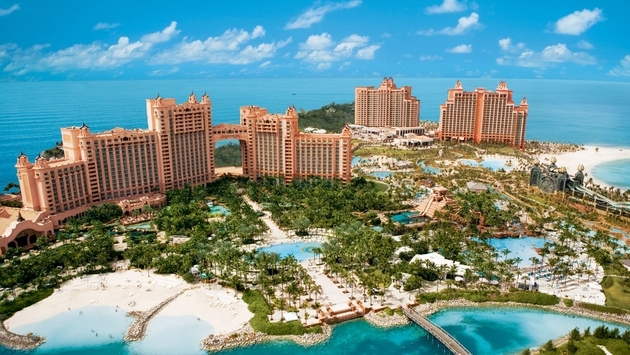 For those suffering with a bad case of cold weather cabin fever, Nassau Paradise Island is the perfect remedy. It is just what the doctor ordered, as it offers everything you crave in a tropical retreat. As the name implies, this is a beach lover’s paradise. Picture yourself lounging in a beach chair sipping a colorful drink as you bask in the steamy, sultry rays of the blazing sun. Nassau Paradise Island promises to deliver all that you imagine when you envision your version of an incredible destination surrounded by the shores of a sunlit beach. The locale itself is almost like its own amazing experience, as you can enjoy total relaxation and serenity simply by sitting on the beach and soaking up the great views. But if you want to incorporate more action and activities into your agenda, there are plenty of options. The first task is deciding where to stay, and there are many options to consider. Whether you want the luxury of an upscale all-inclusive resort, the ambiance and mythical vibe of a place like Atlantis Paradise Island, or prefer to cozy feeling of a smaller property, there is something perfect for you. There are plenty of family activities that will appeal to visitors of all ages. Head to Ardastra Gardens and Zoo, where you can make friends with some of the pink flamingoes that stroll the grounds. Or walk the plank at Pirates of Nassau, a fun and interactive museum where you can learn about the Golden Age of Piracy in an entertaining way. In the mood for some retail therapy? The perfect prescription is right there, as you have plenty of shops and boutiques where you can find everything from haute couture to handmade crafts created by local artisans. The perfect place to pick up some unique souvenirs! Dining is also an appealing aspect to any visit here. Don’t miss the chance to savor the unique and authentic flavors of the Bahamas. Freshly-caught seafood is of course a popular choice, but you can also enjoy an assortment of other cuisine such as classic French, family-style Italian or casual fare. Of course, it would be a shame to let the close proximity to the turquoise waters to go waste, so you will probably also want to plan to devote some time to water activities such as diving, snorkeling and sailing.